Summer means it's time for a host of new wardrobe and beach accessories, and a giant beach bag is a smart choice for those who need to haul many items to the beach or pool. There are numerous options for finding a bag that will be both durable and fun to carry. 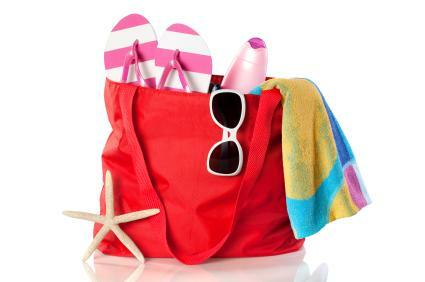 Check out some of the most popular types of huge bags for the beach along with where to buy them. SwimOutlet carries the AquaJogger Large Mesh Bag. It has a drawstring toggle closure, shoulder strap and comes in a bright aqua blue. It is quick drying and folds up when not in use. This bag is also affordable. The Whale Bags by Saltwater Canvas are popular mesh styles that are large enough to hold up to six towels, have nine supersized pockets, and even room for beach toys. They are available in fun, bright colors. Another option if you have a lot of items to carry is to purchase a large backpack. While this won't look like your traditional beach bag, you can often find some with sailing and nautical themes or ones done in a bright color. 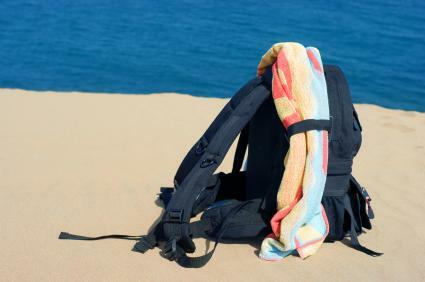 There are many advantages to carrying a backpack instead of the tote style of a traditional beach bag, such as having both hands free and making it easier to carry a lot of weight without straining your back. Stuff4theBeach carries the Zuma Beach Backpack. This bag is done with two sections: an insulated compartment and a mesh section. It can keep food items hot or cold and store all your beach necessities such as towels, clothing and games. It also has a large zipper pocket to keep items safe and secure. The Zuma bag comes in colors such as blue, yellow, green, red, black and tan. For a more affordable straw bag, check out the Seafolly Carried Away Tour Leader Bag done in either natural or black straw. This bag found at SwimOutlet, is reasonably priced for a durable straw bag, and has two top handles. There are many huge tote bags on the market that aren't necessarily meant to be used as beach bags, but can still serve that purpose. Tote style diaper bags are popular to carry to the beach. 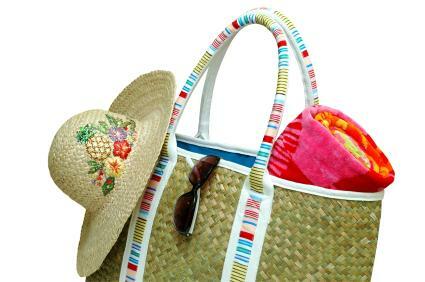 They make an excellent beach tote, because of the durability and many pockets for various beach items like suntan lotion. Another huge tote is the Oversized Beach and Pool Tote found at BeachMall. This large bag is durable and waterproof. It has long handles that can be carried on the shoulder and is great for the beach, pool and outdoor events. This bag comes in cute designs featuring flip flops or stripes. Giant bags for the beach are the perfect summer accessory and easily found in just about any retail store once there is even a hint of warm weather. The selection is wide, so knowing what you want before you shop can save time, money and disappointment.